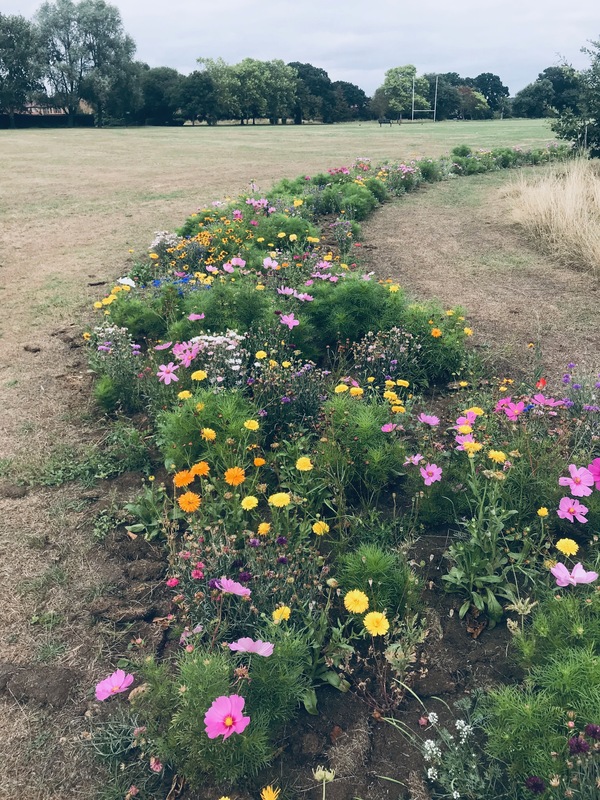 Last October, a range of naturalised flowers were planted in the park. Here is an update on how some of them are getting on in late April. The daffodils have flowered, but the wild garlic and bluebells are just starting. 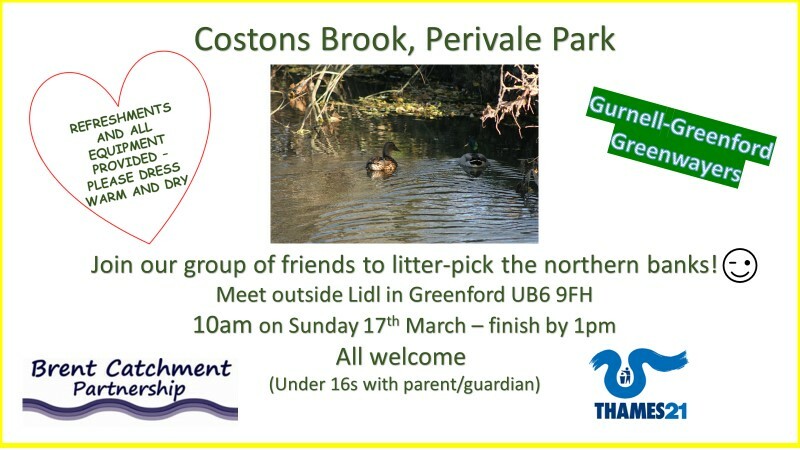 Perivale Park is one of six projects in London funded by a “green-capital” grants program, with the RedGreen group project contributing to an orchard and a bulb planting. The Capital Ring walk is a 126 km circumambulation around London passing through Perivale Park (section 8). 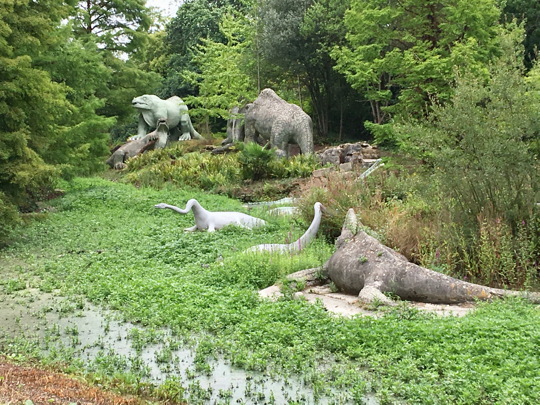 In a southerly direction, you can get to another park in south-east London, Crystal Palace park (sections 3 and 4), which is a rather more famous cousin of Perivale. 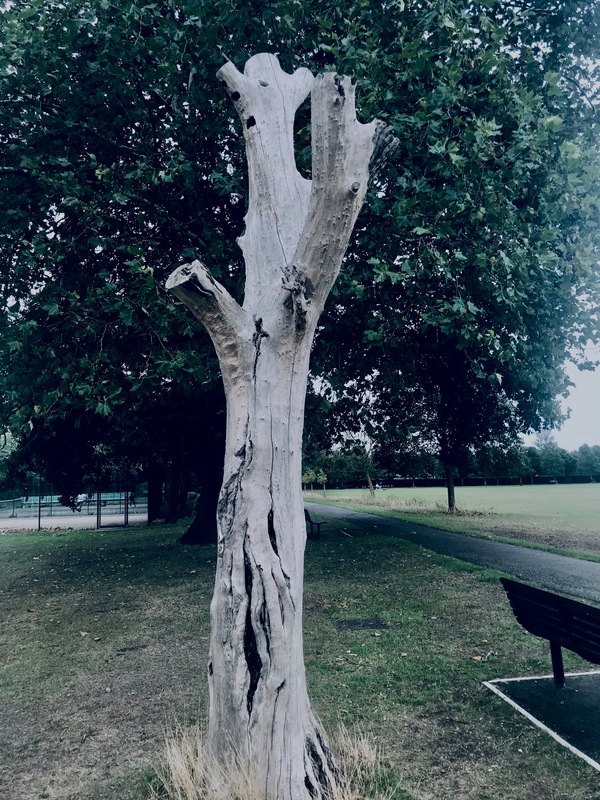 Perivale Park, August 18th, 2018. There was finally some rain last week, and the cosmos in particular have picked themselves up. A dead tree seems even more petrified, nay ghostly, than usual! 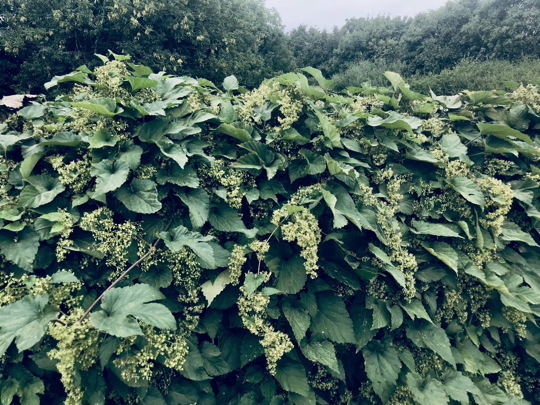 A bridge across Coston’s brook always has a hop plant growing on it, and this year’s harvest looks particularly enticing! 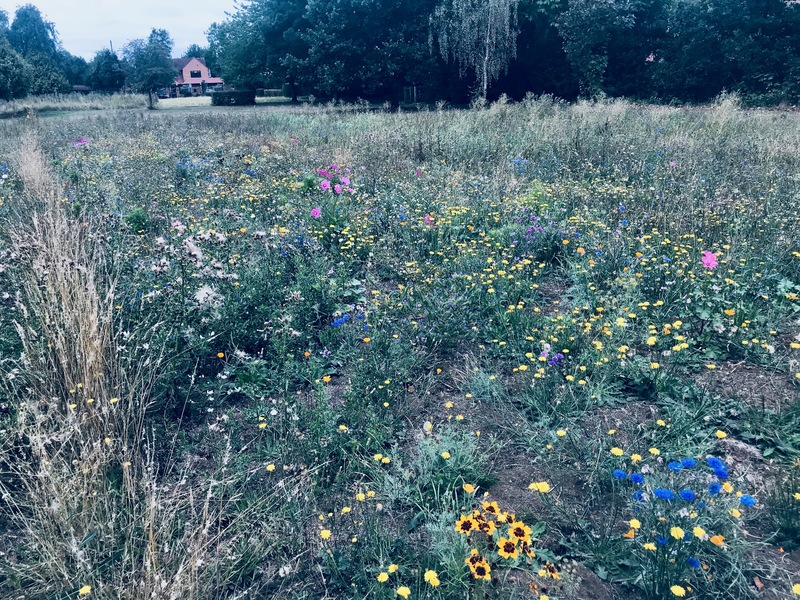 Meanwhile, the main wildflower planting area never did get going this year, apart from a small patch in the centre, which although stunted, has some colour.